Hello beautiful ladies! Today we have an important talk about accessories, so this s the post that you should not miss! 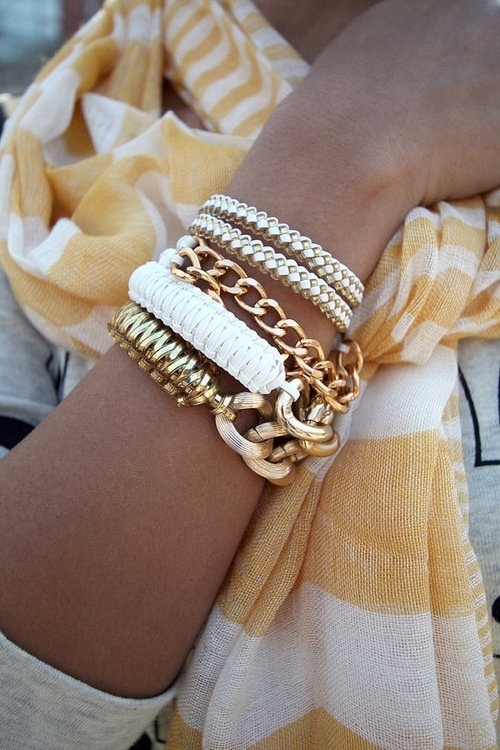 Bracelets are the ultimate accessory for women. A carefully picked piece on the wrist will accentuate the beauty of the feminine hands. Also, it will make any outfit look put together. 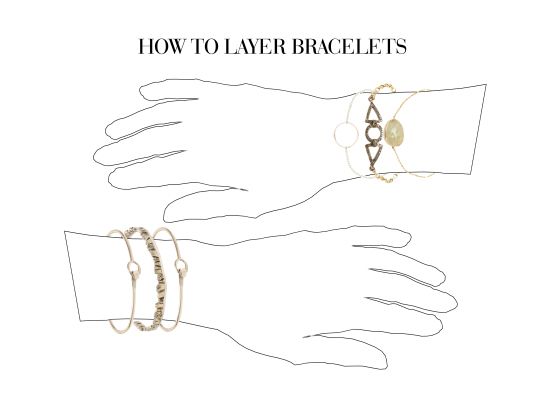 There are some rules that you should know when styling your bracelets. 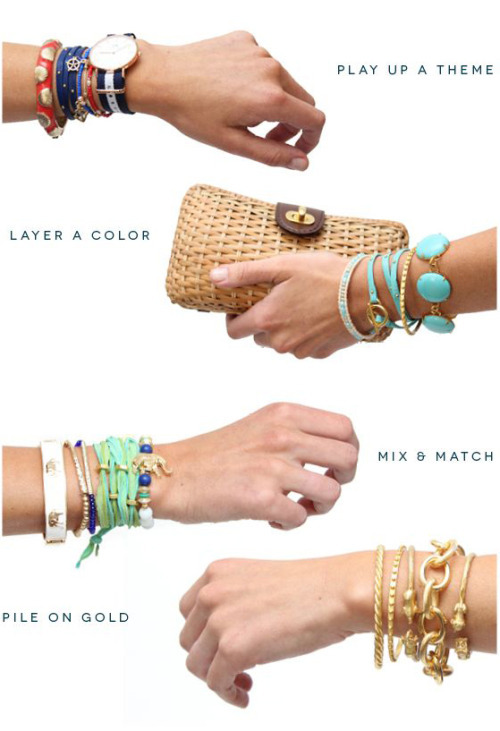 This is The Guide To Wearing Bracelets Like A Blogger that you don’t want to miss! 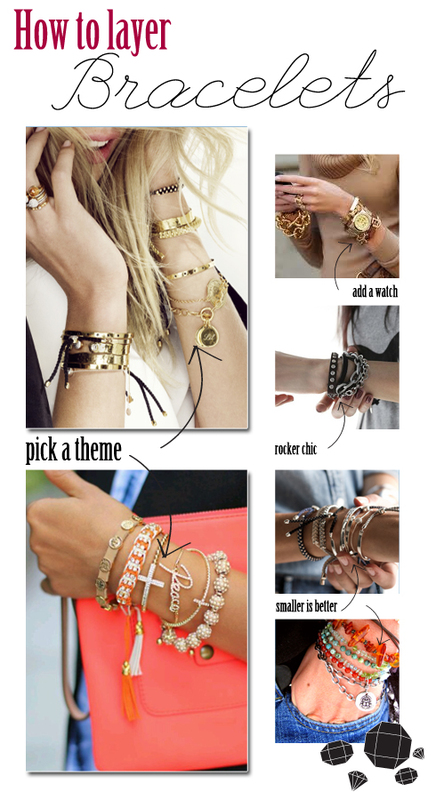 Although it depends on the style and occasion, mixing and matching bracelets is a hot trend now. If you have a collection of neutral and simple bracelets, you should definitely give this one a try. 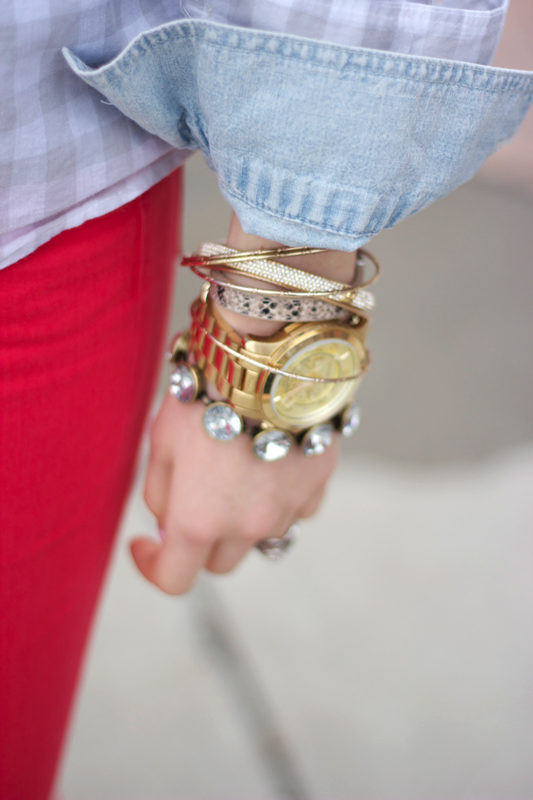 Speaking of mix and match, some may get a step further and mix different metals. But, you should be pretty careful with this one as it might end up looking messy. If you want your bracelet to compliment your look, you must pick the right fit. This means that it should move a little, but not fall off your hand during movement. Too small ones will make your wrists look big, and with two big ones, you risk to lose your bracelet. Think chain bracelets should have a snug fit, while cuff bracelets should be a little loose. How to pick the right fit for your wrist? Measure your wrist with a flexible measuring tape, just below the wrist bone. To this, you can add from 1/4 inch to 1inch depending on the fit that you want. How many pieces of jewelry are too many? You are free to layer and do the mix and matching thing, but there are some rules that you should stick to. You don’t want for the outfit to be overwhelmed by the jewelry. 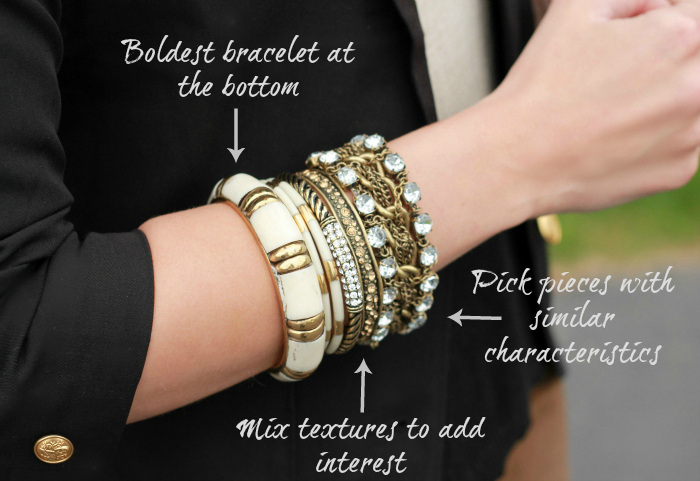 Wearing a ring and a bracelet on the same hand can be a super trendy option. A statement stone ring should be accompanied by a simple bracelet so that its beauty can stand out. However, if you are styling an office look you would want to keep it minimal. A beautiful wrist bracelet will do wonders for your outfit. Unless you wear sleeves that cover the wrist. In those cases, you should not bother wearing any bracelet at all. Accessorize with a beautiful necklace or a ring.